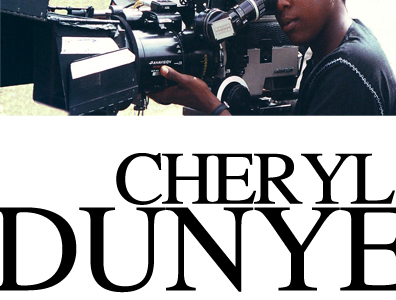 Cheryl Dunye emerged as part of the 1990's "queer new wave" of young film and video makers. Dunye's work is defined by her distinctive narrative voice. Often set within a personal or domestic context, her stories foreground issues of race, sexuality and identity. Dunye's narratives are peppered with deconstructive elements with characters directly addressing the camera and making ironic references to the production itself. The effect of these devices, and of Dunye's appearance in her films and tapes "as herself," is to blur the distinctions between fiction and "real life."